Raymond James continues scooping up Wells Fargo advisors as they leave the firm amidst regulatory scrutiny and executive turnover, most recently adding three advisors who previously managed more than $240 million, Raymond James says. Bruce Hoffman, Michelle Orcutt and Matt Paul have joined Raymond James Financial Services, the firm’s independent broker-dealer, as Coastal Bend Wealth Partners in Corpus Christi, Texas, Raymond James says in a press release. The new partnership is not a registered broker-dealer and is independent of Raymond James, according to the press release. Orcutt joined the financial services industry in 1990 and came to Wells Fargo predecessor firm A.G. Edwards in 2002, according to the press release. Paul joined A.G. Edwards in 1991, Raymond James says. Hoffman has been in the industry since 1990 and had been with Wells Fargo since 2003, according to his BrokerCheck profile. Wells Fargo has been consistently shedding financial advisors to rivals since the 2016 revelations about its retail banking workers opening millions of bogus accounts and the more recent investigation into the sales practices at the company’s wealth management division by the SEC and the Justice Department. Earlier this month, Wells Fargo lost a pair of advisors overseeing $178 million to Stifel Financial and another pair overseeing $184 million to Janney Montgomery Scott. In March, Wells Fargo lost advisors to LPL Financial and Robert W. Baird. And in the first few weeks of 2019, several Wells Fargo brokers jumped ship for TD Ameritrade, First Republic Bank, Ameriprise, Carson Wealth and Steward Partners Global Advisory, the employee-owned independent partnership associated with Raymond James Financial Services. Raymond James, on the other hand, has been poaching advisors from rivals over the past few months. 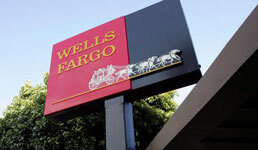 In addition to the Wells Fargo representatives, Raymond James and its affiliated companies have nabbed several advisors from Merrill Lynch, Morgan Stanley, UBS, LPL Financial and AB Bernstein this year. But Raymond James also lost a pair of advisors overseeing $330 million to Stifel earlier this month.